This category of machine can pack all type fertiliser powder and granule form as per customer product and space and plant design suitable. We have attained a reputed position in our domain for manufacturing, supplying a remarkable range of Fertilizer Packing Machine. To engineer the offered product as per the clients' specifications, we have established an advanced infrastructure. In our world-class manufacturing unit, offered product is designed with superior-grade components sourced from the leading vendors. Carving a special niche for ourselves in the market, we are involved in manufacturing, supplying a commendable range of NPK Fertilizer Packing Machine. Offered product is suitable for the industrial applications and acclaimed by the clients for its quality. We used premier-grade raw material in order to design this product as per the clients' demands. 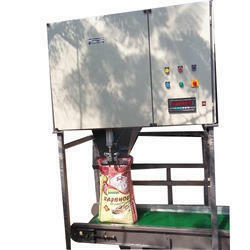 These machines are highly demanded in fertilizer industries for accurate packaging of various fertilizers. These machines are designed from premium quality materials under the surveillance of our expert team of engineers. We offer our Fertilizer Packaging Machine at affordable prices to our clients. This Machine suitable for Fertilizer Bag Packaging Machine. Machine pack 50 kg bag 5 to 8 ton / hour. 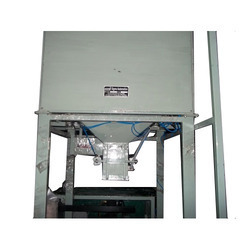 Being an eminent organization in the industry, we are intricate in manufacturing and supplying premium quality Semi Automatic Fertilizer Packing Machine. Manufactured using high quality raw of material and that is procured from reliable vendors of the market. 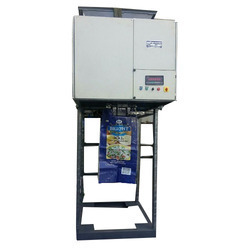 We are manufacturing of agro fertilizer bag packaging machine. 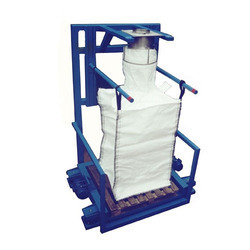 Machine also known as Fertilizer bag packaging machine. 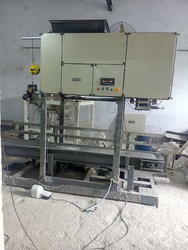 Machine is semi automatic bag filling machine. Being a customer focused organization, we are engaged in offering premium quality Bio Fertilizer Packing Machine. 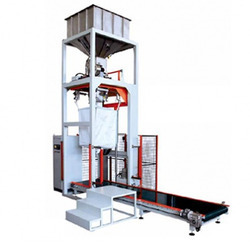 Offered packing machines ensure to serve patrons for long to ensure the same, we manufacture these packing machines by making use of the best grade raw material that are sourced from reliable vendors of the industry. Post production, we check these packing machines so as to ensure their flawlessness. 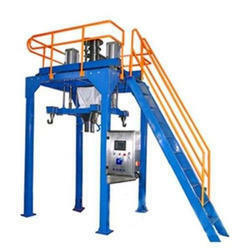 Machine is a gravity feed (Flap-gate feeder) packer specifically for granular products like Fertilizer,urea, sugar, Chemicals, Plastic granules, Sponge Iron, Food Grains, etc. 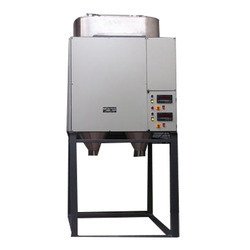 Net weigher has high discharge rate with very high accuracy on account of 3 variable feeding speed. Machine is equipped with redispensing feature. Special lining of hopper to suit material characteristics (Corrosive / abrasive etc.) can be provided. 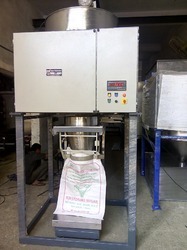 Semi automatic Filling & Weighing. Output of the machine is 5 tons/hour/spout. Digital weighing system with indicator. Latest technology and user friendly designs. 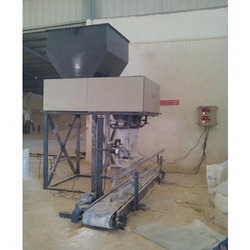 Same machine can be used for packing cement in jute, HDPE (woven), or paper bags (laminated). Available in 1 to 4 filling heads in stationary model.